Are you concerned about your investment losses in Breitburn Energy Partners, LP? If so, the following information may be valuable for you. Breitburn Energy Partners LP’s battle continues in bankruptcy court. 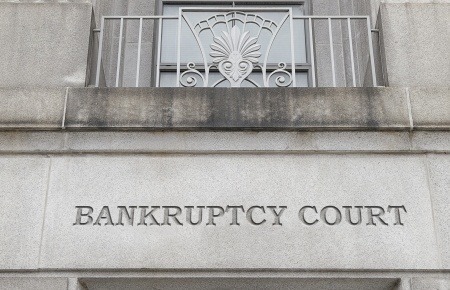 Breitburn Energy Partners LP, along with its affiliates, filed a voluntary petition for reorganization under Chapter 11 in the U.S. Bankruptcy Court for the Southern District of New York, in May. As we told you, the bankruptcy comes on the heels of a dramatic decline in the price of the shares, having dropped more than 97% in the last year alone. Since then, an equity committee to advocate for Breitburn’s common shareholders was formed as the reorganization plan was put together. One of the most important issues for shareholders is how much ammo the equity committee will have to work with in negotiations which will depend on valuing reserves. The company’s 239.3 million barrels of oil equivalent are the key asset right now, meaning the price of oil will be important to the equation. Breitburn did see some clear improvement in Q3, with revenue growth, earnings growth, and overall improved business. But margins on operational investment suffered badly for reasons that are unclear, possibly related to an inability to conduct typical hedging operations during a quarter that saw some periods of violent weakness in commodity markets related to the core business. Earning a current market cap value of $80.2M, Breitburn continues to walk the line in a contentious bankruptcy negotiation process. Unfortunately for many investors they did not fully understand the risks of oil and gas MLPs like Breitburn Energy Partners. Not only are the investments’ performance directly tied to the price of oil (which has dropped dramatically) but the investments structure that requires that 90% of revenue be paid out as income causes further erosion to the investments in a time of a decline. Also, many investors were also told that price fluctuations may occur but that the benefit of MLPs is that the distributions were consistent and therefore appealing to retired income seeking investors. Of course, investors in Breitburn Energy Partners have learned that this is not always the case. The White Law Group continues to investigate the liability that brokerage firms may have for recommending Breitburn Energy Partners. Brokerage firms are required to perform adequate due diligence to evaluate whether the investments they recommend are suitable in light of the client’s age, net worth, risk tolerance, investment experience, and investment objectives. Firms that fail to perform adequate due diligence, or that make unsuitable recommendations, can be held responsible for losses in a FINRA arbitration claim. The White Law Group believes certain financial advisors have been recommending MLPs improperly to income seeking retired investors – focusing on the income potential of the investments while downplaying or ignoring the risks.